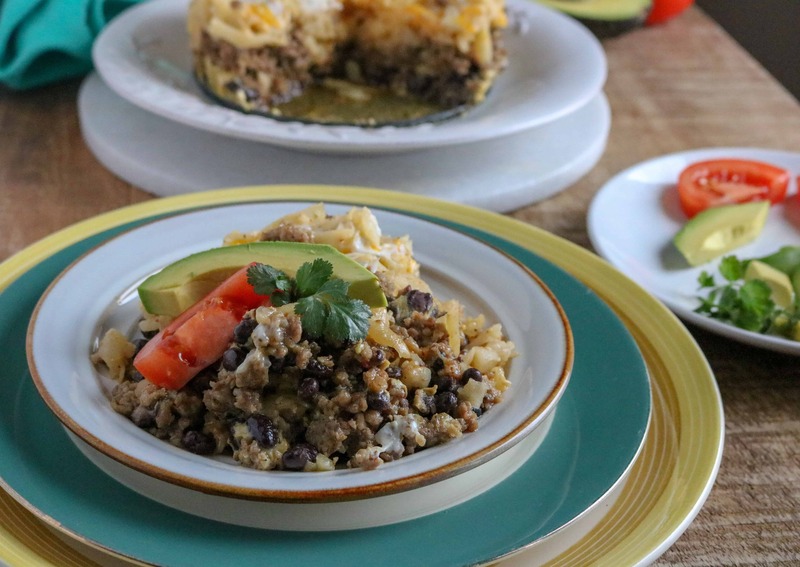 Who doesn’t love a delicious breakfast casserole? The awesome combination of sausage, eggs, and potatoes, all in one place. Yum! The only problem is that most breakfast casseroles take so long to put together and even longer to bake. Between work, family, and fun, who has time? Enter the Instant Pot Breakfast Casserole Southwest Style recipe. This hearty casserole takes very little time to assemble and, with the Instant Pot, even less time to cook! Southwestern cuisine is largely known for its use of spices, particularly peppers. You can find countless Southwest-style products on the market, including the tasty breakfast potatoes in our recipe, which are seasoned with a zingy blend of green and red bell peppers, jalapeño peppers, and garlic. Because it’s so easy! No slicing or dicing vegetables, no frying bacon. 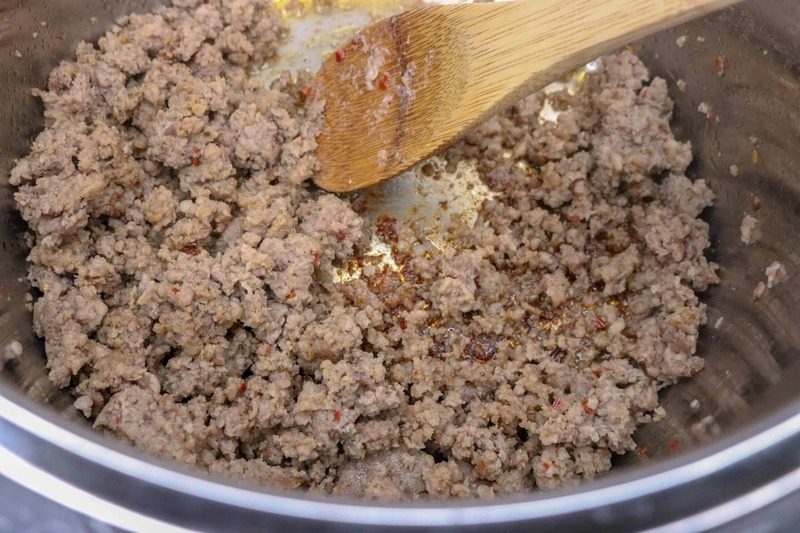 Just brown the sausage in your Instant Pot (quick and simple), layer with of the rest of the ingredients, and you’re ready to go. 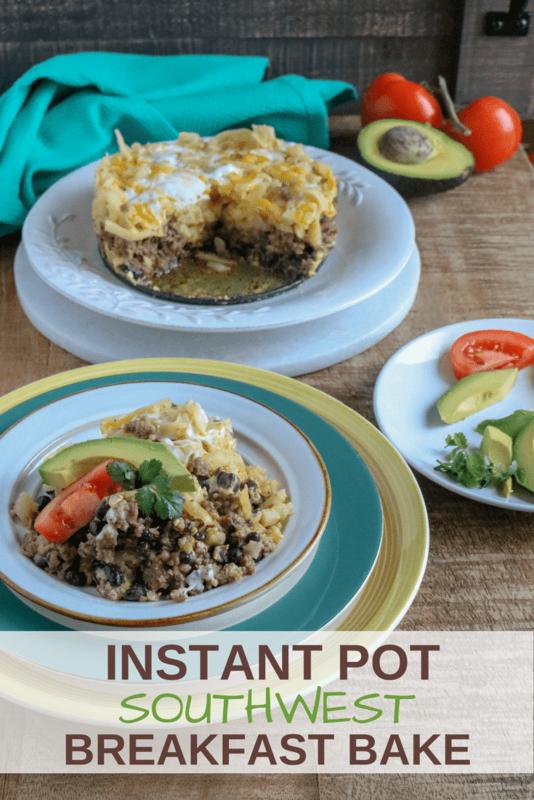 Using your speedy Instant Pot allows you to prepare a hearty and delicious breakfast casserole in just minutes! No more waiting for a weekend or a holiday. The spicy pork sausage and Southwest flavored potatoes will add a little kick to your morning. Move over dry toast, bland oatmeal and sugary cereal. There’s nothing ho-hum about this breakfast! You and your taste buds will be wide-awake after this tasty casserole. And truthfully, it’s not just for breakfast! It is stick-to-your-ribs enough to pull its own weight as a dinner entrée. Pair it with some Drop Biscuits and a Wedge Salad. And to really complete your evening meal, add our sweet and moist Pineapple Poke Cake for dessert. It’s fun to switch things up and eat breakfast for dinner. 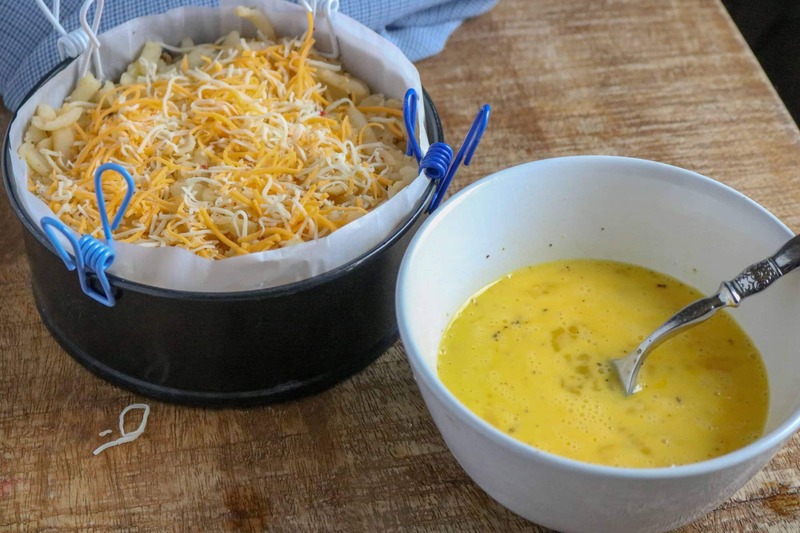 This recipe uses the Pot-in-Pot cooking method, which means your ingredients are placed into a separate container (in our recipe, we use a springform pan) that is then inserted into the Instant Pot stainless steel inner pot. 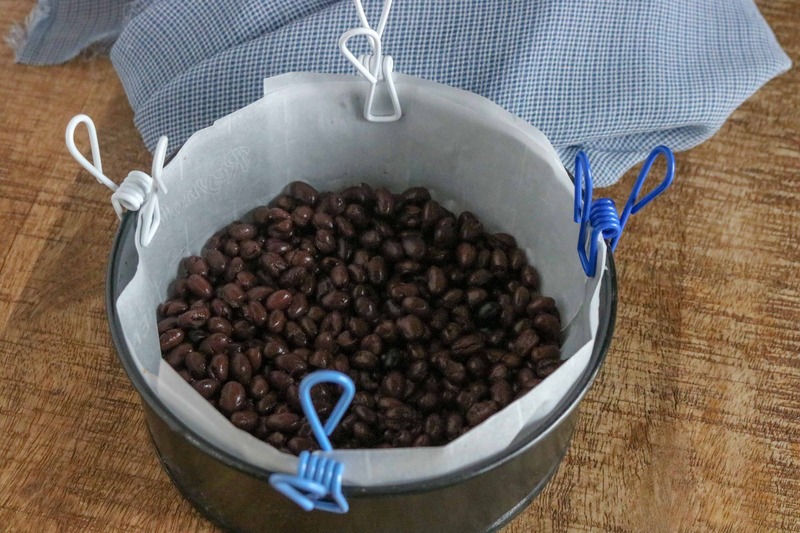 This prevents items like cheese or thick sauces from scorching on the bottom of the pot, and makes your cleanup a breeze! always put the stainless steel inner pot inside the Instant Pot. place the trivet inside the inner pot. make sure to always add water to the inner pot. set the container with your food on trivet. close the lid and seal the release valve before setting the cook function. Step #1: Set Instant Pot to sauté mode and add in breakfast sausage, crumbling it up and cooking it. Drain the grease from the sausage. Step #2: Prepare a casserole dish or a 7-inch springform pan. We lined the pan with parchment paper, but you could also use non-stick cooking spray. Step #3: Add black beans to pan. Step #4: Add cooked sausage, potatoes, cheese to pot on top of black beans. Step #5: Mix the eggs together with the milk. Step #6: Pour egg and milk mixture over the ingredients in the pan. Step #7: Add 1 cup of water to the Instant Pot. Step #8: Place casserole dish or springform pan on trivet in the pressure cooker. Step #9: Turn pressure valve to sealed. Step #10: Set manual pressure for 6 minutes and allow for a quick release. Step #11: Once pressure has released, carefully remove the casserole or springform pan using the handles on the trivet. Step #12: Serve and enjoy! 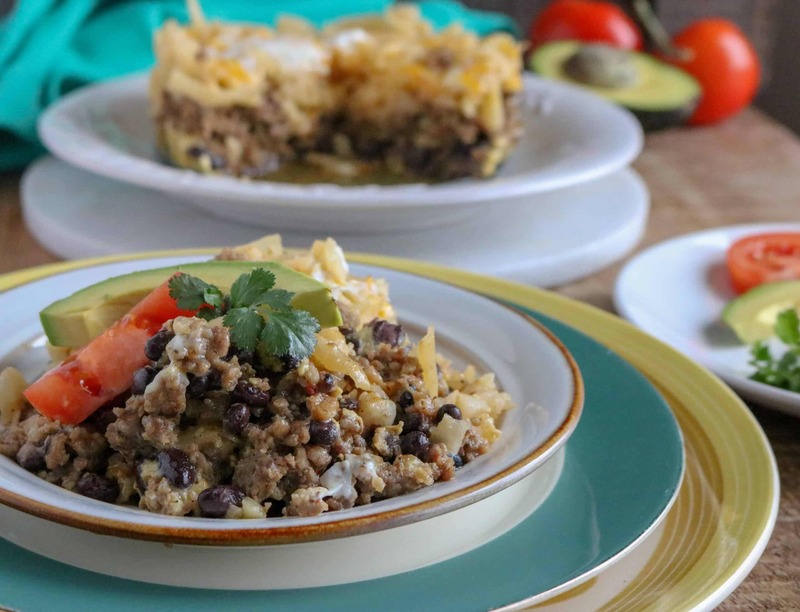 Delicious and Easy Instant Pot Breakfast Casserole with Southwest flair. Set Instant Pot to sauté mode and add in breakfast sausage, crumbling it up and cooking it. Drain the grease from the sausage. Prepare a casserole dish or a 7-inch springform pan. We lined the pan with parchment paper, but you could also use non-stick cooking spray. Add ingredients to the pan in this order: black beans, cooked sausage, potatoes, cheese. Mix the eggs together with the milk and then pour over the ingredients in the pan. 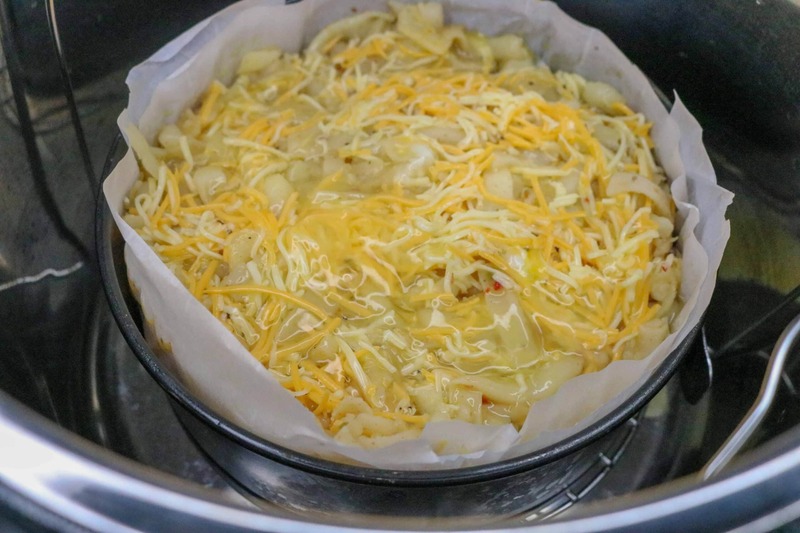 Place casserole dish or springform pan on trivet in the pressure cooker. Turn pressure valve to sealed. Set manual pressure for 6 minutes and allow for a quick release. Once pressure has released, carefully remove the casserole or springform pan using the handles on the trivet.